Here at Umbrella Heaven we take great pride in challenging perceptions of the conventional shape umbrella. 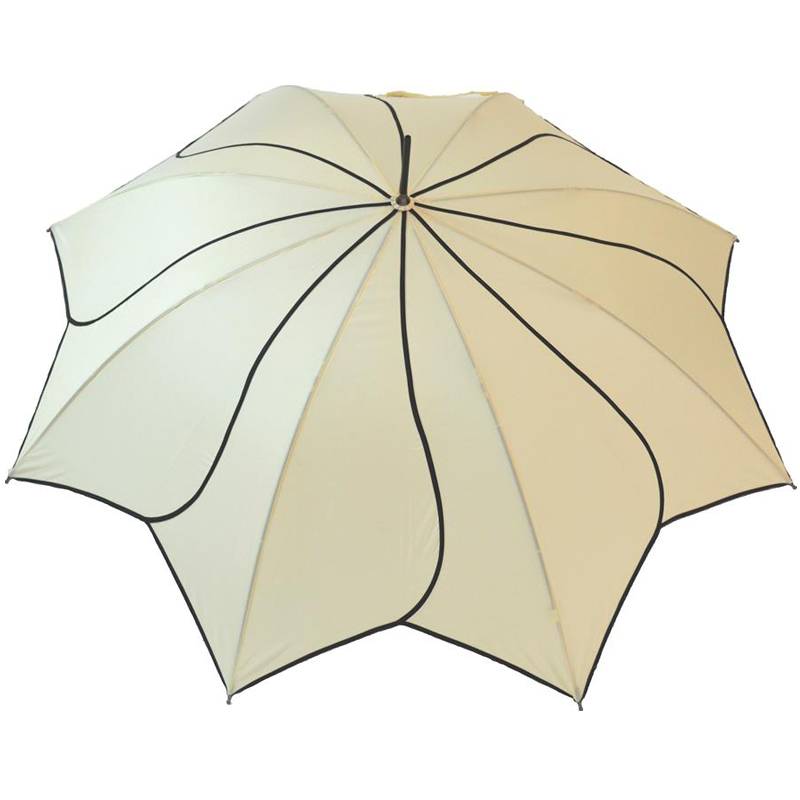 Here we have the beautiful flower petal beige umbrella – our Petal Swirl Beige Umbrella. 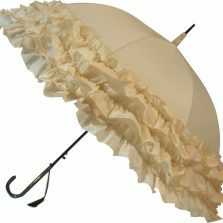 Great for special formal occasions such as weddings, this flower shaped beige umbrella will protect you from the elements and get you noticed. Here at Umbrella Heaven we take great pride in challenging perceptions of the conventional shape umbrella. 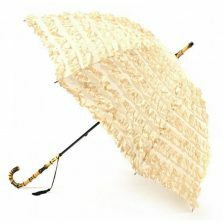 Here we have the beautiful flower petal beige umbrella – our Petal Swirl Beige Umbrella. 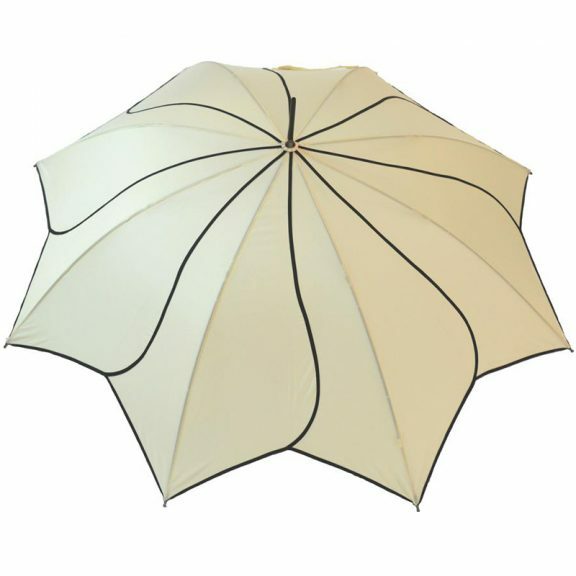 Great for special formal occasions such as weddings, this flower shaped beige umbrella will protect you from the elements and get you noticed. At first glance the umbrella looks like a flower shaped umbrella with overlapping flower petals. 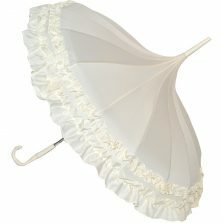 A very striking, very distinctive flower petal umbrella. 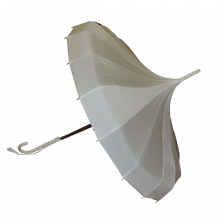 This beautifully made, elegant, ladies full length beige umbrella features a striking black swirl trim, picking out each of the petal shaped panels. 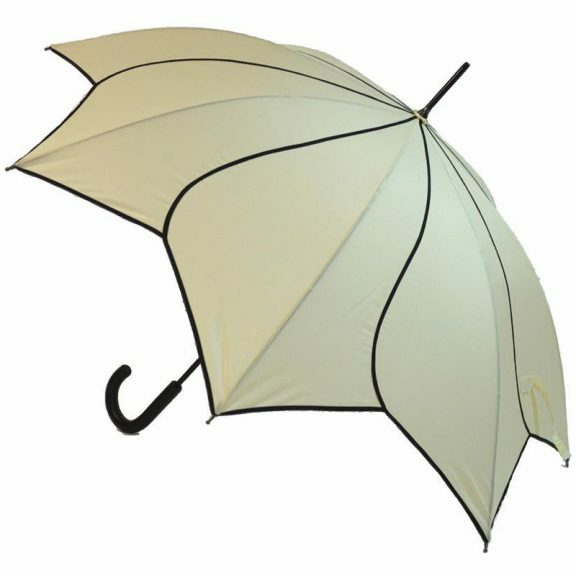 It is a fully automatic opening umbrella with a black steel frame, fibreglass ribs and fine leather effect hooked handle. Overall length is 89 cm and the canopy is 106 cm wide when open. Perfect for special occasions such as weddings etc, the beige is just one of the wonderful new range of Petal Swirl Umbrellas. Good quality, not too heavy and very pretty. These Petal Swirl umbrellas really do make the perfect gift for you or a loved one! Not the umbrella for you? Check out the rest of our range of quality flower umbrellas!